Marie Kondo is trending right now and it’s not a coincidence. It’s the perfect time of year to lighten your load. 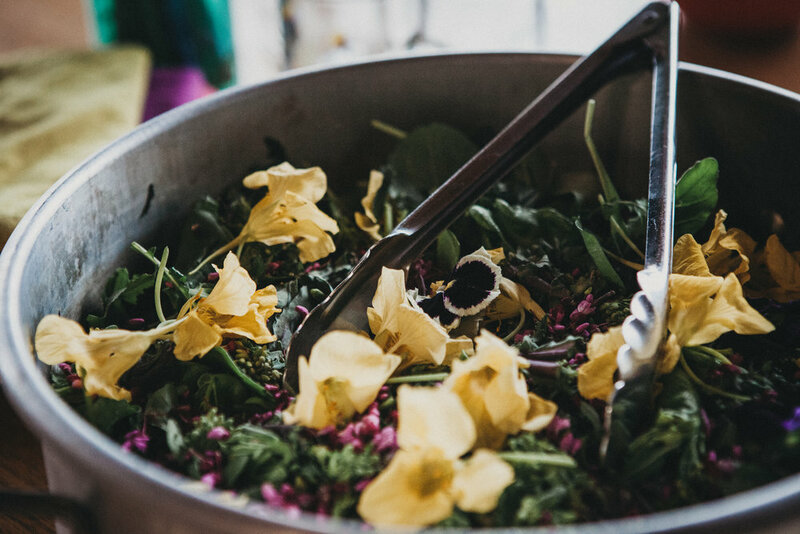 In Ayurveda, we’re in the midst of Kapha Season, where we tend to feel a little sluggish, deal with extra congestion and feel the deep, deep darkness of winter. To combat these feelings, we live off an extra shot of espresso and have a Google alert set to find a decently priced plane ticket that will allow you to feel the sun soak into your pores. A signature rule that Ayurveda depends upon is, “Like increases like, opposites balance.” Enter Marie Kondo. Sparking joy. Waking up. Letting go of heaviness that surrounds you. What better way to get out of the well worn rut of winter, than to re-organize and “Marie Kondo” your home? She’s helping to combat Seasonal Affective Disorder (SAD)... it’s no wonder she’s now a household verb. If you’re feeling the damp effects of Kapha, you’re not alone, we feel it too. Get outside. Period. It’s amazing what a bit of fresh air can do for your soul. 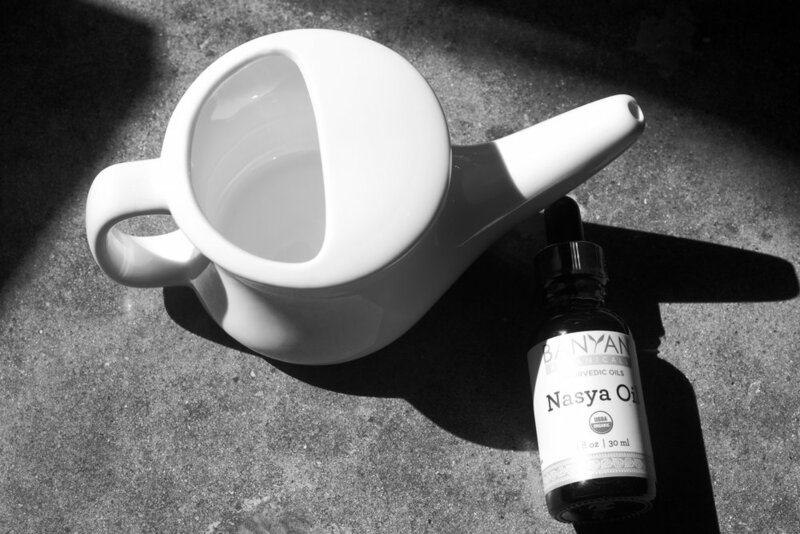 Neti Pot followed by Nasya oil. This is a great practice to plug into your morning routine. Neti pot with salt water (saline) will gently cleanse the nostrils. Nasya allows for lubrication of the nasal passageway but also prevents future pathogens from entering. Marie Kondo your home. Still not sure what that means? The short version of it is…keep what brings you joy, donate what doesn’t, and clean out those dusty corners. Cook light, well-spiced meals. Flavor meals with lemon, ginger, cayenne, cumin and cinnamon. They’re all warming and will kindle your digestion. Raise that heartbeat. Now is the time to say hello to cardio or your favorite yoga class. Stimulate, stimulate, stimulate! Move that lymph. Dry brush in the morning and get a massage by your favorite body worker. In no time at all, we’ll be feeling the humidity of summer, begging for chunky knit sweaters and a book to curl up with. Pinky promise.